Backup Camera, Bluetooth, Hands-Free, Beetle 2.0T SE, 2D Convertible, 6-Speed Automatic with Tiptronic, Titan Black w/V-Tex Leatherette Seating Surfaces, 17" 10-Spoke Alloy Wheels, ABS brakes, AM/FM radio: SiriusXM, Blind spot sensor: Blind Spot Monitor warning, Electronic Stability Control, Exterior Parking Camera Rear, Heated Front Comfort Seats, Panic alarm, Radio: AM/FM/HD 6.3" Touchscreen w/WMA/MP3/FLAC/CD, Speed control, Traction control, V-Tex Leatherette Seating Surfaces, Wind Deflector. 2019 Volkswagen Beetle Deep Black Pearl Metallic/Black Roof 2.0T SE 26/33 City/Highway MPG We do things different at Auffenberg. Every vehicle is priced to sell and the price you’ll pay. There are no additional destination fees or hidden add-ons. You asked for a simpler way to buy a car, and we listened. Paying cash, this is your price. Financing the vehicle at standard rates? This is your price. Do you have a trade? This is your price. Don’t have a trade? Still your price. Call any other area dealer and see if any sales employee can guarantee all of those things for you. If they can’t, why buy there? 3rd Row Seat, Backup Camera, Bluetooth, Hands-Free, Atlas SE w/Technology and 4Motion, AWD, 20" Silver Triple 5-Spoke Wheels, 2nd Row Captain's Chairs, 2nd-Row Dual Captain's Chairs, 3rd row seats: split-bench, ABS brakes, AM/FM radio: SiriusXM, Blind spot sensor: Active Blind Spot Monitor active, Distance-Pacing Cruise Control, Electronic Stability Control, Exterior Parking Camera Rear, Heated front seats, HomeLink Garage Door Opener, Panoramic Sunroof, Panoramic Sunroof Package, Power driver seat, Power Liftgate, Radio: Composition Media 8.0" Touchscreen, Security system, Spoiler, Towing Package, Traction control, V-Tex Leatherette Seating Surfaces, Wheels: 20" Silver Triple 5-Spoke Alloy. 2019 Volkswagen Atlas Platinum Gray Metallic SE We do things different at Auffenberg. Every vehicle is priced to sell and the price you’ll pay. There are no additional destination fees or hidden add-ons. You asked for a simpler way to buy a car, and we listened. Paying cash, this is your price. Financing the vehicle at standard rates? This is your price. Do you have a trade? This is your price. Don’t have a trade? Still your price. Call any other area dealer and see if any sales employee can guarantee all of those things for you. If they can’t, why buy there? 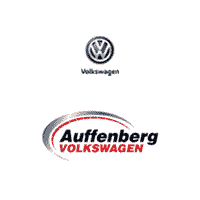 If you’re looking to take on the streets of O'Fallon in a new Volkswagen, be sure to rely on the current Volkswagen special offers available at Auffenberg Volkswagen. We hand-select vehicles to join our discounted VW ranks so that drivers like you can enjoy special savings on a new Jetta, new Atlas, new Passat, or a new Tiguan. Shopping for a new VW Golf? Check our specials for one that fits your needs — and check back soon if you don’t find your dream Volkswagen: we update our discounted Volkswagen offers regularly. Once you take a look at our available discounted Volkswagen models in O'Fallon, be sure to pay us a visit whenever you’re ready to take your favorite model for a spin. If you have any questions along the way, feel free to contact us to learn more about our current specials or new vehicle inventory! In the meantime, keep an eye out for the offers on Passat, Golf, and Atlas.